To register your company we need information from you about the company and its directors, shareholders and the company secretary. There are a lot of details to complete and you will probably want to collect all the information before you begin. Shareholders (at least 2) and share capital. The full company name. There are very detailed rules about what company names may be used. For this type of company the name must end in "Public Limited Company " or "PLC". This was brought in on 1st. October 2009 so that directors' home addresses would not be available on the public file. The address must be one at which the director can be contacted. It may be the director's home address, but need not be. If the company has business premises, that address is the obvious one to use. If the business is being run from the director's home, then that will probably be the company's registered office address anyway, so there is not much point in using a service address that is different from the home address. 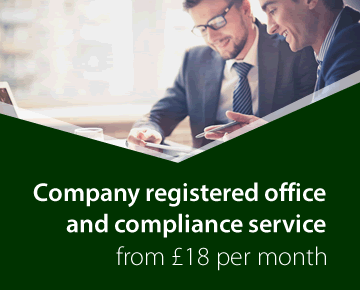 We offer a company registered office service and a director's service address service if you want to use our address. In many cases the directors and company secretary will be shareholders in the company. If so, the number of shares they are to have is stated when putting in their details as a director or secretary. A director does not have to be a shareholder, however, and there may be shareholders who are not directors. There is a minimum capital requirement for a PLC of £50,000, of which 25% must be paid up on incorporation of the company. If the information about the shares to be issued to shareholders does not equal or exceed that amount the formation will be rejected by Companies House.